Apple’s app store is offering an application that will help people show off their wealth to others. The application is named ‘I Am Rich’ and at $999 is surely one that only the rich can afford. The application is not a productivity enhancer nor does it show off bleeding edge technologies. 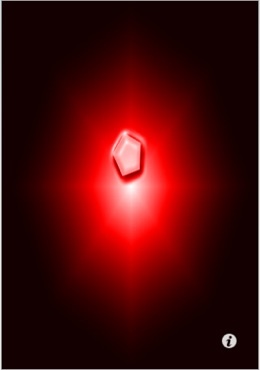 All it does is add a picture of a bright red gem stone with a glow on your iPhone. Useful? Yes if you have the single purpose of announcing to the world that you have a lot of money. Owning an iPhone itself is not an inexpensive affair. But still a lot of people can do that. This application intends to separate the wheat from the chaff in terms of buying power amongst iPhone users. I have to admit that the idea does have its own brilliance. Rather than selling something using which a person can do something, it sells something that matters to all of us. Vanity. Vanity – one of the seven deadly sins of mankind. Using technology to sell vanity shows a fantastic plan. Kudos to the authors of this application. Though this application might not blaze sales records, it will surely appeal to some of the more fortunate amongst us. If the vendor of ‘I Am Rich’ decides to publish a list of their customers, one person who is sure to be on this list is Paris Hilton. After all she seems to be the kind of person who are the target for this application – the filthy rich with an almost empty mind.